THERE were many questions and several business models discussed for the retirement industry and aged health care at the recent Sustainable Retirement & Aged Care Conference (SRACC), organised by Kenanga in partnership with Aged Care Group (ACG). While the one-day conference saw many questions raised, it also offered several ideas and solutions. Infrastructure – It takes at least three to four years to build a purpose-built infrastructure. Legal framework – What is the legal framework you need to comply with? From a quick survey done at the conference, it was found that participants are ready to join this industry, but many are still unclear of how to go about building the facilities and providing the services. Niche market – Because it is a niche market, people are concerned that they will only be selling to a small group of people. Business model – There is still a lack of Malaysian tested and accepted business models. So, those who are interested are not sure how to go about it. Some are taking a wait and see approach. Khoo pointed out that while there are no tried and tested Malaysian business models, there are many in other countries that we can learn from and adapt to suit our country. Return on investment – Business enterprises are concerned about return on investment (ROI) and wonder if they can get the same ROI as they would from building a condominium or office block. Tax breaks – While Pemandu, Ministry of Health, Ministry of Finance and MIDA (Malaysian Investment Development Authority) are very supportive of tax breaks for those entering the industry, we will need to wait and see if the government approves the recommendations. Legislative framework – The Aged Healthcare Act is hoped to be tabled in Parliament before the end of the year. 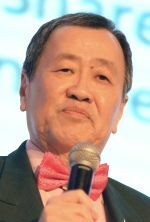 “I’m very worried that if we leave it to somebody in Putrajaya to draft those legislations, without experience in the market place, they are likely to put everything, the worst of the lot that they can pick from all the other countries, just to cover themselves, to make sure that everything is so overly stringent that it will stifle the industry in its infancy. In this context, I am always a firm believer that the industry must drive the legislation, and not the other way around,” said Khoo. 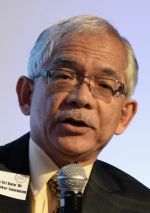 Tan Sri Datuk Dr Abu Bakar Suleiman, president of International Medical University, chairman and director of International Medical Colleges Malaysia, explained that aged healthcare did not just pop up overnight. The government has been talking about it for the past 20 years or so, but nothing concrete has been done. He was the director-general of health with the Ministry of Health from 1991 to 2001. “I think there are two things that are important in terms of funding. The health financing system has to be developed through a health fund. The proposals have been there for the past 20 years. Hopefully something will come out of this. The importance of this is, how does the coverage for the aged group be translated into the services? If you look at the policy now, we want good access, we want continuous, committed and integrated care from the living end to the end of life. So, how do we translate it? “We have to be creative, we have to be disruptive, and the care model cannot be around doctors or nurses, but based around the elderly and their families. “This is tough, but we’ve got to do that because if the healthcare system that we want to develop through a new funding system is based on the existing system, it will be a wreck. It will not be sustainable,” he said. According to Dr Abu Bakar, the capability for technology-enabled care is already available but nobody is using or implementing it because there is no incentive to use it. He highlighted that the truth is everything in the hospital can be brought into the home, and this is how we can keep the cost down. “Around the world now, what we are fighting for in healthcare is safety and patient-centredness. Doctors are trying to learn this very late in the day. How do we get individual-centred services to people where they want to be. Let’s have care in the institution, care in the community and care in the home. So, there are actually market segments that we can address,” he said. Tan Sri Dr Ridzwan Abu Bakar, cardiologist, executive chairman of Pacifixhealth and one of the directors of Cyberjaya University of Medical Sciences, said that the country has been slow to move so far because of complacency and sustainability. “We are very complacent. This morning we heard speakers saying that we’re going to be an ageing nation in five years’ time. Now, that’s not a figure that’s been plucked out of the air. We will hit that figure in the year 2020. So, we’ve got five years. Have the government agencies, has the public been made aware of that – that in five years we will be defined as an ageing nation? I think that’s where we are a bit complacent. “The other aspect about complacency is the particular setup that we have in this country. Most of us have elderly to take care of, but we also have an inexpensive way of doing it and that is by getting maids. So, many of us would hire maids, mainly from the Philippines and Indonesia. By paying for a couple of them, they would look after the loved ones at home, therefore keeping to the eastern philosophy of filial piety. “So, that’s been the ongoing solution so far, but as we all know this system of getting maids in is going to be a big problem in the near future. Therefore, there is a demand very soon for an alternative way to look after the elderly,” he said. According to Dr Ridzwan, the other reason why Malaysia has not moved faster into aged healthcare is sustainability, not just from a fiscal standpoint, but also from a provider’s view. “Those who are going to provide the services … can they sustain it? So, we’ve got to look at the workforce, for example. Is there a sustainable workforce that can look after the elderly that we want to take care of? “Then there is the social sustainability part – the expectations of the country as to how they look after the elderly. These are the additional issues that we want to think about,” he said. Yip asked the panellists which model Malaysia should look at in terms of financing, where to start and who developers should partner with – the public sector, other private companies, or NGOs. Khoo believes no one model will suit the needs of all. Malaysia will need to adopt several different models depending on the developer’s perspective and preferences. Some developers may only want to build and not manage it, in which case they may partner with an operator. Others may prefer to build and manage it. And, a third group may want to build, own and rent. Dr Abu Bakar said that Malaysia should learn from others’ experiences and understand the model and see what we can do. But, before we decide on the business model, we first need to know what is the role of the public sector, the private sector and where does the public-private type of partnership come in. He advised developers and operators to look at Eden on the Park in Kuching to see how they have done it and learn from them. Khoo, who was involved in the Eden on the Park project, explained that it is a co-location model. It offers active independent living, just like any of the high-end condos in the cities. However, it also has aged-friendly features to provide residents with the opportunity to age in place. That means, if you move into that facility, you can stay there until the day you go. According to Khoo, places like Eden on the Park focus on the lifestyle. That is their selling point. “The people behind that project are nobody, they are not the big boys in town. They are just a group of passionate people who are prepared to put their money where their mouth is. That is where I see this industry being driven. It’s the smaller boutique developers who will say, hey, I can’t beat the big boys. If I build one condo, they are going to build five condos. So, I am going to play the game by focusing on a niche market that they may not get into yet,” he said. According to Khoo, businesses need to cater to the middle income group. Those in the lower economic bracket will need government help, while those at the other end of the scale will be able to stay anywhere as they can afford it. “I think the target market that we are looking at as a business enterprise is the 35% between these two groups. That itself is a big, big market for which we have very little alternatives right now,” said Khoo. Dr Abu Bakar shared his experience with the National Kidney Foundation, where he is president of the Board of Governors. According to Dr Abu Bakar, Malaysia is able to keep the cost of haemodialysis down because the public sector, private sector and NGOs work together. “The public sector provides just under 40% of the services. The private sector, hospitals and clinics, provides a bit over 30%, and the balance is provided by the NGOs. “The funding total – 70% is provided by the government. They provide the funding directly and through insurance and subsidies. “As for the National Kidney Foundation, we raise about RM6 million a year through donations. From the RM50 per dialysis the government provides for patients who need the help, we receive the funds for that also. Whatever else we have to do, the patient pays only a bit. “The NGOs’ contribution has a multiplier effect because most of us serving there donate our time and our expertise. 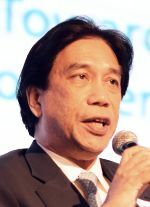 I think we can learn something from this for aged care,” he said, explaining that he sees the aged care industry following a similar pattern of government, private sector and NGOs working together to cover the needs of all Malaysians. Yip believes that while everyone is ready to start building the facilities, funding is still a big question mark. Khoo expressed his opinion that there is a future in private equity. “I’ve spoken to some private investors as well. They are also getting to be interested. The only thing is, they want to see a track record, they want to see an annuity of income. We don’t quite have that yet,” said Khoo. He pointed out that investors also want to know what the exit strategy would be. Dr Abu Bakar offered many suggestions to make aged healthcare more affordable. “The issue right now is the services are not sufficiently patient-friendly or patient-centred. In fact, far, far from it. For example, can the hospital provide services outside the hospital because we have the expertise,” he said. He suggested having video-conferencing or sending the doctor-nurse team to the home. “That will not be an issue, but the long-term is a problem. How do we look at that? How do we fund that? And, I think we need to have a different business model for that because what you want is 24-7 and not transaction basis. That model is not there, doctors are not familiar with it,” said Dr Abu Bakar. Dr Ridzwan gave the conference a very sobering look at the industry. He informed that despite heavy government funding, only 70% of aged care facilities in Australia are profitable. He said that 30% of them don’t make money at all. “So, there are other problems involved that need to be addressed. In Malaysia, I think the additional problem is the legislative network. For example, if a facility is sold to an aged person, what happens when he passes away? The laws on inheritance in this country are pretty complex, depending also if you’re following the Islamic law or even the ordinary inheritance law. How do you prevent that aged care facility from passing on to a yuppie who wants to convert it into a normal condo? These are the things that we need to address. Maybe developers will say that they have the right of first refusal. I believe this is easier said than done. The laws in this country do not provide for the fact that if you set up a retirement facility that you can maintain it with subsequent generations. I think that’s another area to look at,” he said. He pointed out that many developers may be waiting for the Aged Healthcare Act to come into force because they don’t want to run afoul of the law. Both Khoo and Yip believe that developers need not wait for the Aged Healthcare Act, as it is merely a step down from the Private Healthcare Facilities and Services Act. “As long as we comply with the Private Healthcare Facilities and Services Act, we will definitely comply with the lesser Act. That is what Eden on the Park has done – they opted to go for the gold standard,” said Khoo. Dr Abu Bakar said that the aged care industry is now at the same point as the private hospitals were in the 1960s and 1970s when nobody wanted to build hospitals. “So, who built hospitals? The doctors. Pantai Hospital was built with RM1 million by the doctors. Nobody else wanted to invest. They showed that it’s a viable business. After that, others came in. “We are now in that stage of the game,” he said.